Are You Compliant With Your Oracle ERP License Agreement? It can be very difficult to keep tabs on your ERP usage and stay compliant with your license. 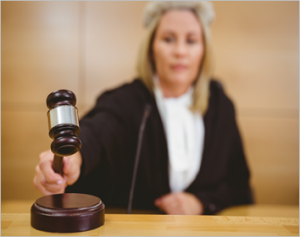 If you’ve had the call from the Oracle licensing team, you may already know how big the bill can be! Or perhaps you’re paying for licenses you don’t need. Can you be sure that you actually use all the items you’re licensed for? How would you find that out? QCloud License Audit provides you with an easy solution to help you stay compliant. For a simple monthly fee, QCloud users can log in at any time to request an audit run, and get the results back within hours – with no technical resource required, no SQL scripts, and no panicking. 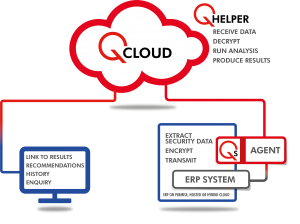 You request an audit via the QCloud portal, then download Q Agent, which gathers the information needed, then pushes it to QCloud. The data is analyzed and the audit report is produced. An email is sent to notify you that the report is ready, including links to access and download it via QCloud. An interactive view of the audit results is available online. The results show how many users have updated tables in each module of the ERP system, and you can drill down to investigate the statistics. The report also identifies modules in compliance and modules out of compliance. The license audit can be run by any authorized user at any time. Simply log in, request an audit and you’ll receive the results within a few hours. The only technical input required is a half hour install of the Q Agent before the first run. You can input your own license details (Oracle ERP SKUs), and the report will highlight any modules where usage exceeds the specified licensed quota. If you prefer, you can provide us with your contract information, and we will review the audit results with you to determine compliance with your Oracle contract. Find out exactly how many users have updated tables in each module of the ERP system and drill down to investigate. The results highlight any modules where usage exceeds the licensed quota. You can also see who has accessed custom modules, and thereby track potential access issues. The service is available to any Oracle E-Business Suite customer – you don’t need to install Q Software applications to use it. The only thing you need to download is the Q Agent to gather the data.